Gamification – a trend that has taken the online training world by storm. Well-designed e-learning games facilitate learning in a stress-free environment. They enhance learner engagement levels and deliver memorable learning experiences. How can you develop an effective gamified web-based course? You need to choose a good rapid authoring tool. Most of these e-learning development software come with pre-built templates and characters, which enable the swift development of gamified online courses. 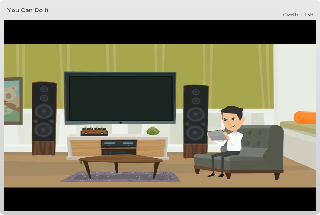 Let us now look at 5 samples of gamified e-learning, developed using Articulate Storyline, a popular rapid authoring tool. This piece of gamified online learning is based on the popular game Tic-Tac-Toe. The e-learning module was developed in just 4 days, thanks to Articulate Storyline’s easily customizable library of templates. A learner is presented a 3X3 grid. When he clicks each square in the grid, a question is posed. If the learner answers the question right, the box is filled with a flower. The learner needs to populate the entire grid with flowers to get the maximum score. Want to give a try? Click the image below to enjoy the web-based learning game. The developers of this simple technology-enabled learning game have made excellent use of Articulate Storyline templates, variables, slide layers, and triggers, to create an interesting learning experience. 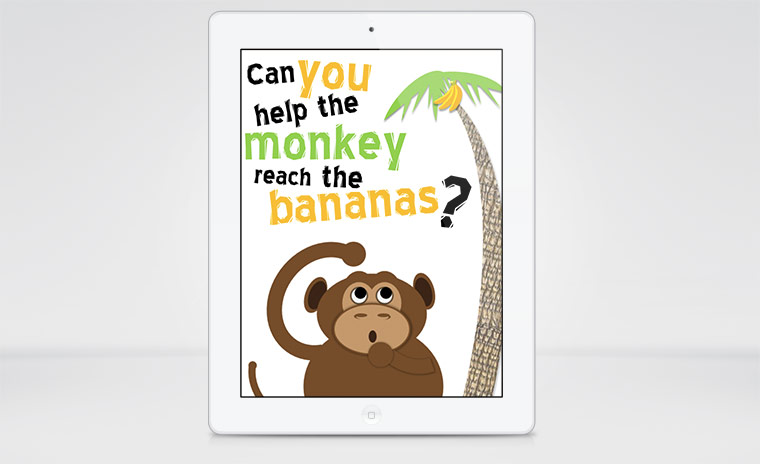 A learner needs to help a monkey reach the bananas at the top of a tree. The learner is presented with twelve questions, and he needs to get five of these questions right, to enable the monkey reach the fruits. Eager to play the game? Click the image below to start. 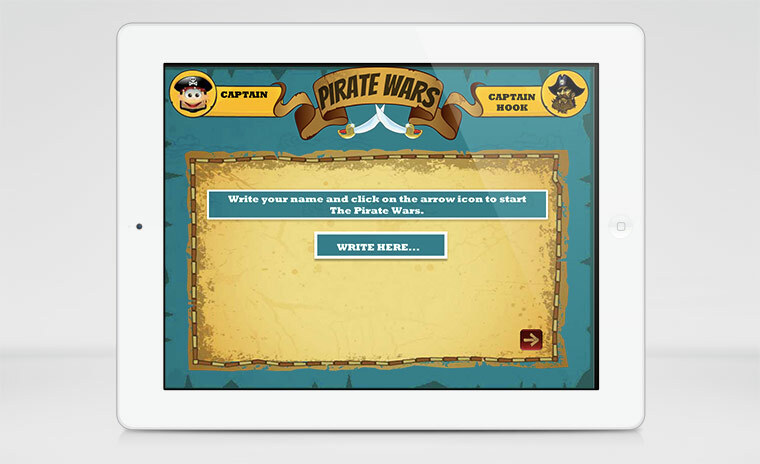 Pirate Wars is a gamified e-learning module, based on folk tales of Buccaneers who terrorized the waters of the New World. 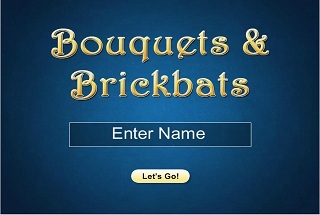 The developer of this learning game has leveraged the templates of Articulate Storyline very effectively to engage the learner. The game revolves around a pirate, captain called Hook, and the learner is challenged to hit Hook’s vessel. The learner is presented with a question and when he answers the question correctly, a cannon ball hits the outlaw’s ship. Want to experience the action? Click the image below to get started. 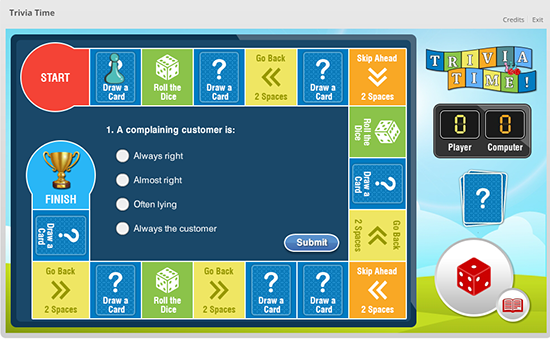 Trivia Time is a gamified e-learning module modeled on the popular board game Monopoly, using the templates of Articulate Storyline. Here, the learner needs to roll the dice at the bottom right corner of the screen, by clicking it. Based on the number of pips, he is asked to either draw a card containing a question or roll the dice again. He gets a point by answering the question correctly. If he gets the answer wrong, the computer wins a point. The learner needs to outscore the computer to win the game. Wish to play the game? Click the image below. This game is modeled after the popular TV show Who Wants to Be a Millionaire. It is a fine testament to Articulate Storyline’s abilities to facilitate the development of engaging gamified e-learning materials. The game is centered on a person John, who wants to buy a house and is short of $10,000. The learner is asked to help John by participating in a virtual reality show You Can Do It. He is presented with questions, and the learner can ‘earn’ a certain amount of money by answering each of these correctly. He needs to get at least $10,000 to win the game and help John buy the house. Hope you enjoyed these learning games. Would you like to expand this list? You are most welcome.